Let your sweeties swim safely and stylishly in Bling2O goggles for tots aged 8 and up! 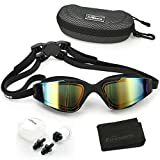 Available in countless styles, Bling20 kids goggles are 100% latex- and lead-free, offer max UV protection and resist fog so little peepers can see undersea. 100% nontoxic design. 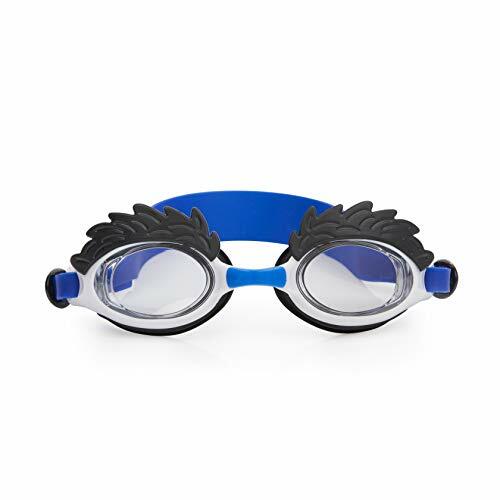 Bling2O youth swim goggles are latex- and lead-free, and are super safe to wear. Durable UV Protection. 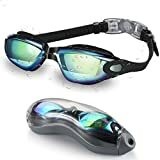 Lots of kids goggles for swimming are dollar-store trinkets – Bling 2O is the real deal with reinforced UV-proof lenses that keep kids’ eyes safe. Comfy, Adjustable Non-Slip Head Strap. Studies show kids have more fun when they’re happy – keep ’em in the pool with goggles as comfy as they are cool. Winning Water Tight seal. Keeps water out and the comfort level high, which is why Bling 20 are the swim goggles kids love. Comes with Compact . Keep those cool kid goggles safe and secure in their very own durable goggles case – included with every order! Beat the sun and have more fun with Bling2O – the goggles that parents trust and kids love! Show your unique style this summer with these fun Uncle Hairy Eyebrow themed swim goggles by Bling2O! Stylish and safe! 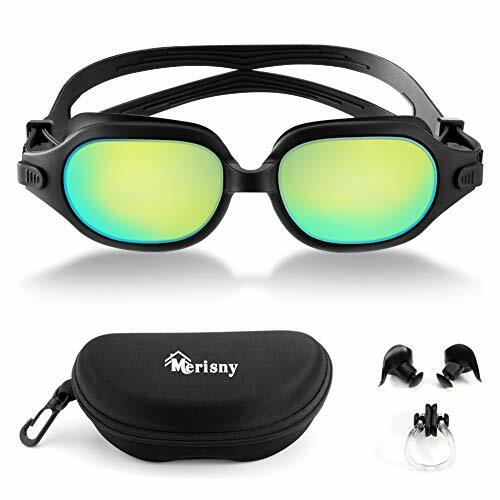 Bling 2O goggle lenses feature a water-tight anti-fog seal and full UV protection, and the latex lead-free materials offer high performance, safety and durability! 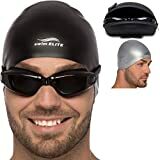 Bling20’s soft, flexible frame and wide non-slip head strap make these swimming goggles super comfy for lasting water fun!! Make a great gift for kids who want to make a splash at the pool or beach this summer! Bling 20 goggles and masks are available in many cool styles! 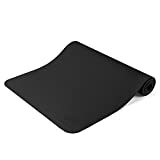 Includes hard protective carrying case. Color: Airstream Blue. Ages 8 and up.